I still remember a particular time when I was not exactly being an available parent. I was busy working on some things on my computer, and feeling a little frustrated and stressed because I was having trouble figuring something out. In the middle of my frustration, one of my older “kids” came in the room, and began to talk to me. She told me a little about something from her day, and I responded — then went back to looking at the computer to figure things out. After a brief pause, she started talking again, and I looked at her and we talked again for a couple of minutes. I thought she was done talking, so once again I began to try to figure out what I was working on. Trying to figure it out was irritating me, and then SHE HAD THE NERVE TO TALK AGAIN – right in the middle of my irritation and frustration! I’d like to say that once again I stopped working and kindly turned to listen, However, the reality is that I sighed in frustration and l turned to look at her again. OUCH! The minute the words came out of her mouth, I knew I had made the mistake of putting my computer work before my daughter, and her need for me to listen. I was not being an available parent, and had conveyed to her that what I was doing online was more important than her. 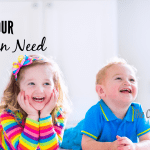 I don’t know about you, but I don’t want my kids to EVER feel that I consider them as a bother! I want to be available when they want or need a listening ear. Even if our kids need that listening ear at the most “inconvenient” times — late at night, or when we are trying to get something done, they need to know that they are welcome to come to us and talk at any time. 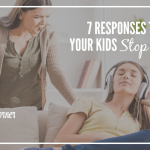 In order to avoid conveying the message: “I’m busy -you’re bothering me,” we need to purposefully work at being an available parent for our kids. 1. Learn to know when their time of wanting to talk usually is, and plan for it. 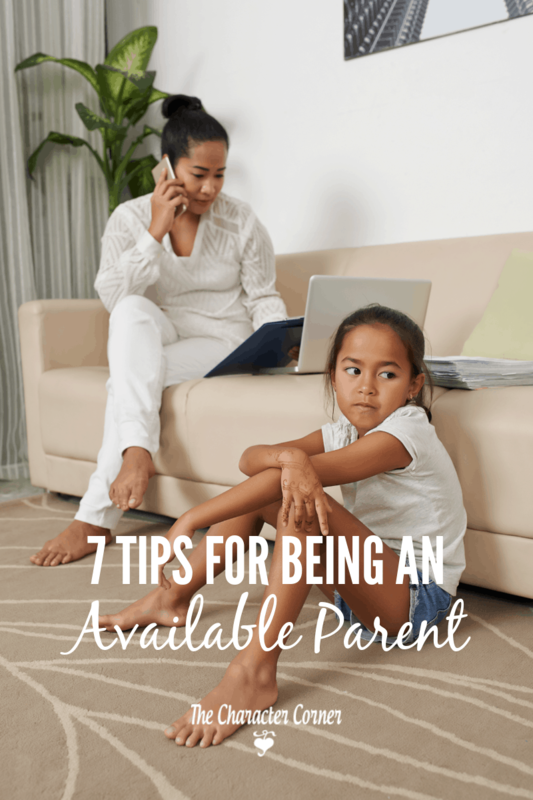 For example, one of my kids always likes to come and talk to me in the evening when everyone is busy elsewhere, and I’m trying to finish up some things at my desk and online. I have learned to expect him to come , and to just plan to spend some time chatting with him. We have had some of our best conversations ever during those times, and I have learned to cherish the time with him. 2. Limit the amount of time that you spend online. 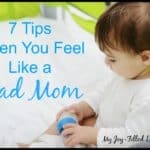 You can literally spend hours reading great, encouraging blogs about being a good mom or homeschooler, and the whole time you are ignoring your kids! I’m not saying don’t ever read those, because I think it’s important to get encouragement regularly. What I am saying though is that the computer (or cell phone) can be a HUGE time waster, so you MUST discipline yourself not to allow it to consume your days. 3. Schedule your online time. Set times when you will check you email, your Facebook page, or write posts on your blog. Set your schedule based on your kids’ schedules and needs. Be available when they are going to have down time. By scheduling and limiting your time online you are setting a good example for your kids about managing their time well. 4. If you work online, let your kids know when your scheduled work time is. They need to respect that work time, and not disturb you unless it’s very important. This will let you get your work done, and allow you to be more available to the family the rest of the day. Once your work is done, or you know you have a set time to get it done, you won’t be frustrated when kids need your time or attention. 5. Try to have conversation around the table after dinner. My older kids still talk about how they used to love those times when we would all just sit and talk, and laugh together. Some of our best times were spent laughing and talking at the table after a meal. 6. If you sense one of the kids is wanting or needing to talk to you in private, invite them to go along with you on an errand. I have found that many of the best conversations with my kids have been when we were driving somewhere together alone, and they had my undivided attention. 7. To give each of the kids individual time with you, assign each of them a day of the week to be your kitchen helper. My kitchen helper would join me in meal preparation, and some of the clean up that may not have been assigned to someone else as a regular job. The reward for being the helper for the day was that they got to stay up an extra 30 minutes, and spend time with me, or me & my husband. They chose whether we played games, talked, or just snuggled on the couch reading books. Having this set up helped me be sure that I purposefully spent time with each of the kids, letting them know they were important and special to me. They LOVED it, and it provided many great times of bonding with them. 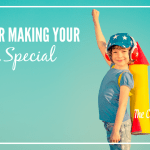 When you purposefully choose your kids over the internet, your phone, or that book you are reading, and make yourself available, it says to them “You are important to me.” It affirms them, and makes them feel loved. Most important, being available for our kids when they want to spend time with us, is one of the best ways to win and keep their hearts! Be sure to get this free list of 25 Activities to Do To Keep Your Child’s Heart, and 15 Ways To Keep A Strong Relationship with them. Great post! I totally agree…I have caught myself in that same situation too! I have made it a rule to try to only be on my phone/computer for work AFTER they are in bed…I even turn off my notifications until after 8pm when they are in bed. What a great encouragement. I don’t want to ever portray to my kids that they are a bother, but I’m sure I’ve done it before. Thank you! Tori, I’ve done it more than I care to admit. It’s so easy to get caught up in other things, and get irritated when they “interrupt” us, isn’t it? I had to constantly remind myself that relationships are more important than my to-do list. These are really great tips. 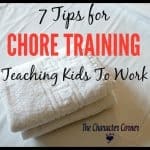 I love the idea of letting your kids know when work time is (if you work from home) and being open to readjusting. Thank-you for sharing! Thanks Leah! Good quote, and it’s true. The kitchen helper’s extra 30 minutes were always a delightful time of being able to give undivided attention to that child. Such great suggestions, Kathie. The one I struggle with the most is #4 . . . seems like even when I set that and get everyone where they can be with appropriate activities, I spend most of the time sending them back to their places and giving correction than getting anything done! Teaching and enforcing non-interruption is challenging me. Abi, I had a couple of kids who struggled with staying busy where they were supposed to be while I got things done. Have you tried pairing an older one with the one who has trouble staying with what they are supposed to be doing? Or rewards for sticking with what they are supposed to be doing and where? Positive incentives always worked the best for my kids. And then of course, if they are just being stubborn, you have to pull out the consequences. It is truly a balancing act, isn’t it?! We try to take one kid along on errands so they can grab some one on one time whenever possible. But your other tips are definitely great ideas for me to ponder on! I try to be purposeful in turning away from my blogging when they need me for something (even just to talk), but I know I still have my nose in the computer far too often. Jamie, I loved taking kids on errands with me. That one on one time was always so enjoyable. I hear ya about having your nose in the computer. It’s so hard not to sometimes, isn’t it? Scheduling my online time really helped, but sometimes the kids need to talk during that time, so it’s a balance of being available for them while still getting my work done.